When it comes to buying a printer or multi-function device, the lowest purchase price doesn’t necessarily mean it’s the most cost effective solution. What we mean by this is when your company is looking to purchase a new printer, it’s important that you look beyond the purchase price. Just because the initial purchase price is low, doesn’t mean the overall running of the printer will be cheap too. Before you invest in a printer you need to understand all the costs involved with purchasing and running the device. For example, like a car needs petrol, servicing and maintenance, a printer needs toner, paper and servicing. While you might have bought a relatively inexpensive printer, the true price you want to be looking at is the total cost of ownership (TCO). The printers with the lowest TCO offer the best value in the long run. 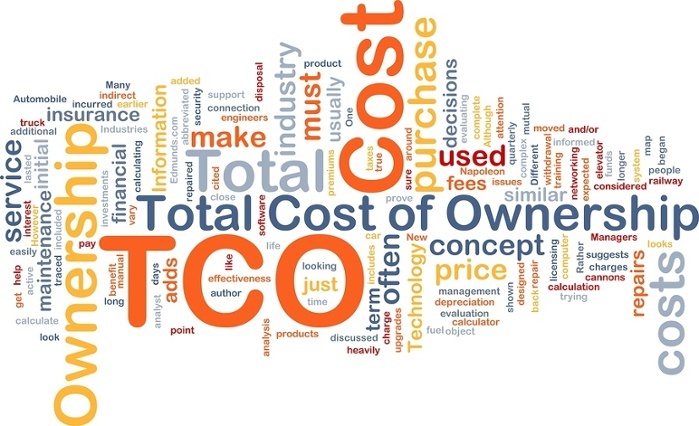 Taking the time to understand the TCO when purchasing a new printer or device can help prevent unnecessary financial or productivity loss in the future. In this article, we are going to help you understand why it is important to consider the total cost of ownership of your printer, and what to consider before making your purchase to ensure you’re getting the best value long term. What to consider when calculating your printer’s TCO? Essentially, there are three key things to take into consideration when calculating the TCO for a printer. Physical hardware cost. This is the cost of the printer when you initially buy it. If you’re leasing the printer, the cost you would consider is the cost of leasing over a period of time. Printing costs. Printing costs refer to things like the cost and capacity of toner cartridges and the amount of paper your business goes through each month. It also includes whether you’re printing mostly in colour or black and white. Running costs. There are a few areas to consider when calculating the running cost of your printer. Energy consumption is an important factor to think about. Most printers come with an industry standard Energy Star value. The higher the star value, the more energy-efficient it is and the cheaper it is to run. The cost of paper should also be considered when purchasing a printer. Different paper is suitable for different printers, and typically, laser printers run on low-cost plain paper, while ink-technologies usually require more expensive and specialised paper, especially when you want to print in high-quality. It’s also a good idea to check out whether the printer you’re looking at offers double-sided printing as this feature can greatly minimise paper usage costs. Maintenance costs such as service or warranty costs is something to also consider. Number of pages to be printed each month. Additional features you may need from your printer like: wireless printing, security printing, managing workflows etc. Now that you have all the information ready, you can use this handy equation on this blog to figure out the TCO. Managed Print Services can cut your printing costs by up to 30% by outsourcing the management, maintenance and support of your printer devices to optimise document output and reduce costs. By expertly managing your print environment, Fuji Xerox will help you achieve cost savings in areas of printing such as supplies, maintenance, service and process improvements. To learn more about MPS and how to find a MPS provider download the MPS ebook below.